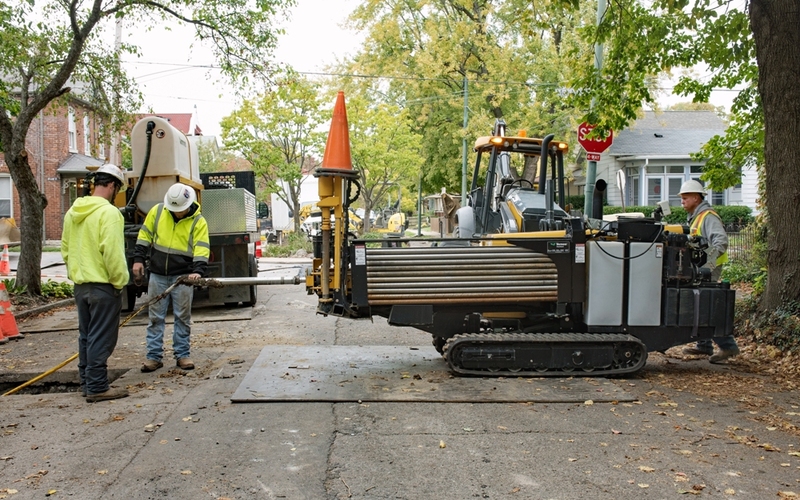 A 20-block section of downtown Elyria, Ohio was without power for about six hours Wednesday, when a sewer construction project punctured a natural gas line. While any gas leak poses a threat, the damaged line was an eight-inch, high-pressure distribution line, increasing the risk. As a result, power and gas were both shut off while a Columbia Gas crew repaired the line. Several buildings in the immediate vicinity were evacuated residents in other nearby buildings were told to stay indoors, and school pickup arrangements were reconfigured for two schools in the immediate vicinity. By early evening, the repairs had been completed, power was restored, and streets were re-opened, with injuries or additional damage reported. Assistant Fire Captain Joe Pronesti gave credit to a collaborative effort from multiple city agencies and resources, saying he couldn’t recall another event in 30 years that demanded such a coordinated effort. While the rapid response handled the situation effectively and efficiently, surrounding businesses were, nevertheless put at risk. While the gas leak ended up not causing any damage, the power outage put their technology at risk. Any time an outage occurs, a surge – either at the time of outage, or when power is restored – can break any of the tiny circuits that allow network and communications hardware to function. While there is little that can be done about outages – they will happen and are usually unexpected – businesses can take precautions to ensure that, while they may experience down time due to lack of power, their equipment is protected. Suitably sized power protection systems are designed specifically to protect expensive, sensitive technology from electrical surges and other power anomalies. They also allow equipment to be properly shut down during outages, further protecting businesses from data loss and additional risk once power is restored. Depending on business needs and budgets, larger systems can keep business-critical systems operating through outages. Any business, regardless of size, should be aware of the risks posed by electrical surges and power outages and install systems to mitigate those risks. Down time is never helpful – but, having to expend financial and human resources on replacing or repairing damaged equipment in addition to lost hours compounds the impact.